Spring is here and the Healthy Soils Demonstration Project (to read about the background of this project, click here) has been busy since the composts were applied last fall. 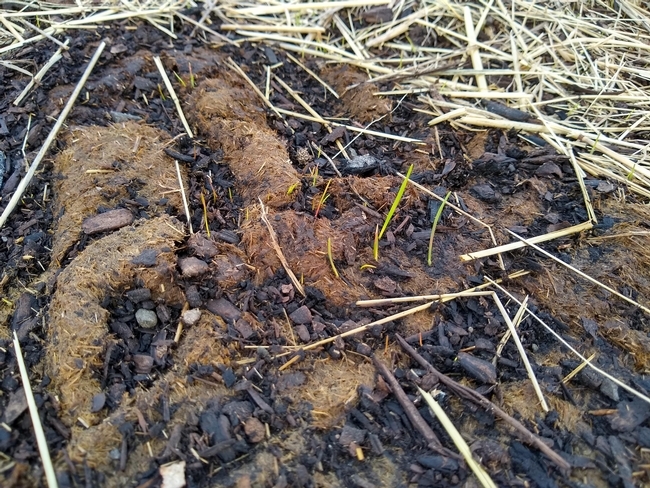 We have observed the onset of spring, the grasses and wildflowers on the plots are actively growing. 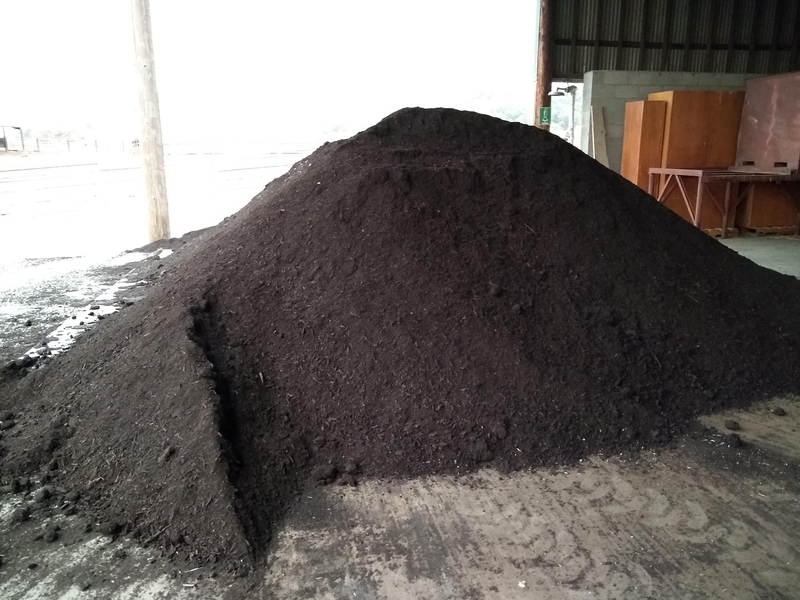 With frequent rains and warm temperatures starting, the applied compost has settled into the soil ecosystem. On March 22, a herd of 79 cattle visited our plots and grazed on the grasses. It was a busy week, we also began our second intensive gas sampling campaign and are currently sampling greenhouse gases every day for the next three weeks. 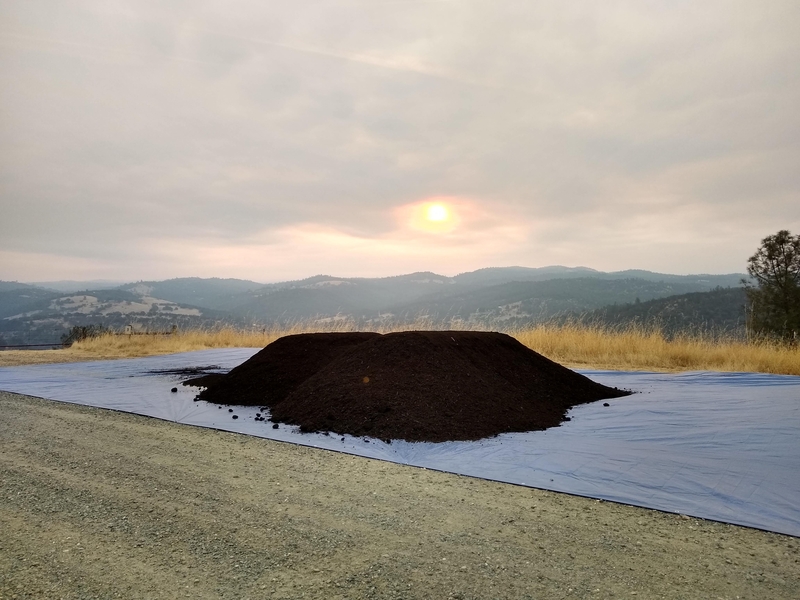 The soil microbial and plant communities are active and we are capturing key soil mineralization processes during this time. To learn more about the project, visit us on May 15 at SFREC for the Ranching and Range Management in a Drying Climate Field Day! Click here to see the agenda. Click here to register. Cattle grazing in the project area. Sampling of the green house in the plots. 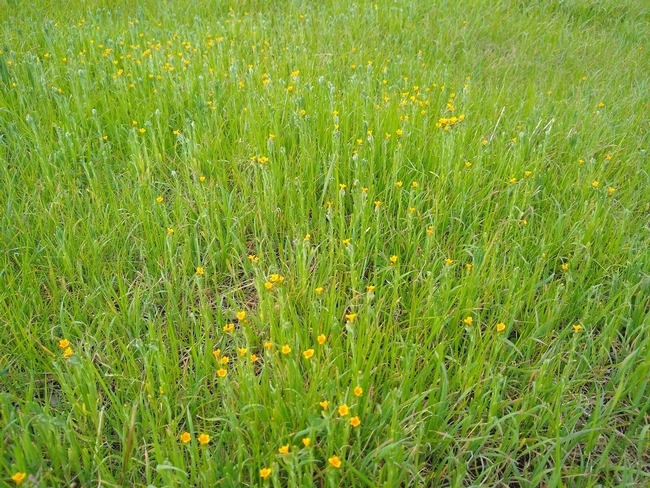 Flowers blooming in the healthy soils of the plots. 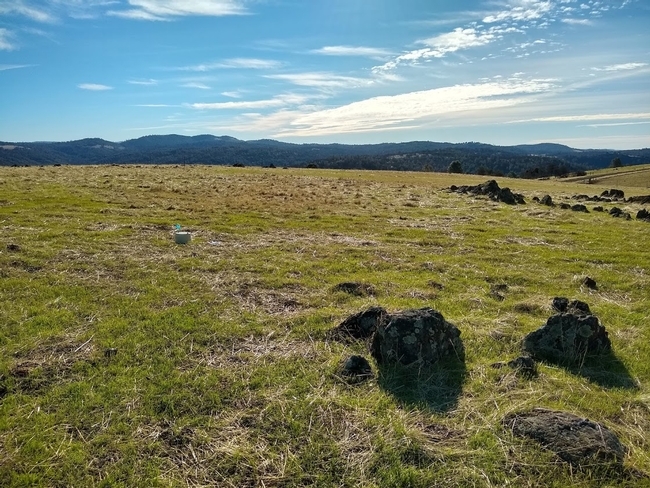 Over the last few years Californians have grappled with how to manage lands during times of both drought and plentiful rainfall. At SFREC and on Central Valley rangelands, one question is whether management that promotes high forage in wet years alters ecosystem resilience in dry years. For example, promoting highly productive grasses is a common goal. While drought years can negatively affect productive grasses, less productive species, particularly forbs like filaree, do relatively well in drought years due to decreased competition. 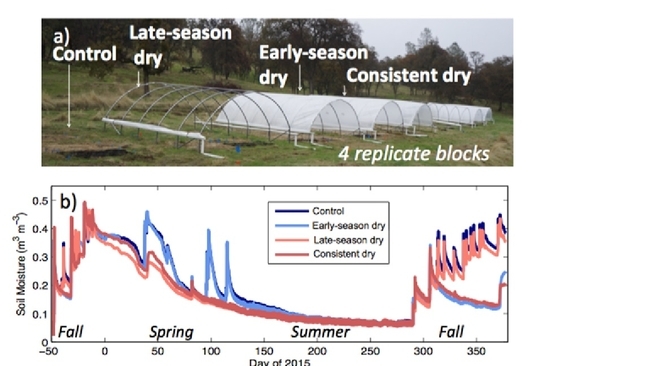 Over the last several years the Suding lab and SFREC crew have been building ever-larger drought manipulations to test how different management practices, and associated species mixes, affect forage across good and bad rainfall years. 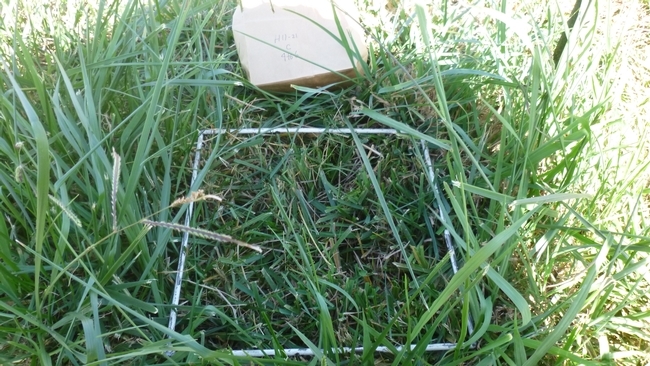 Figure 1. a) Grazing legacies were created over four years using a combination of mowing and trampling. Here cows are herded in the “moderate grazing” treatment. Photo credit: W. Stanley Harpole. 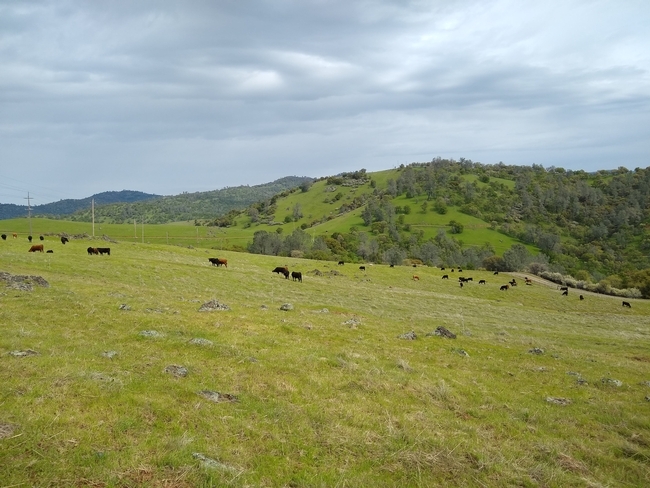 b) Rainfall conditions were altered using shelters and irrigation to create wet and dry conditions, replicated across areas with experimentally-created legacies of low and moderate grazing. Photo credit: Lauren Hallett. In the first iteration of this project, we looked at how grazing practices and rainfall interact to affect forage over dry and wet years. We hypothesized that grazing practices that maintained a diverse mix of grasses and forbs would promote more stable forage across wet and dry conditions. To test this, we first varied grazing intensity over four years within a pasture to describe how grazing alters grass and forb abundances (Figure 1a). 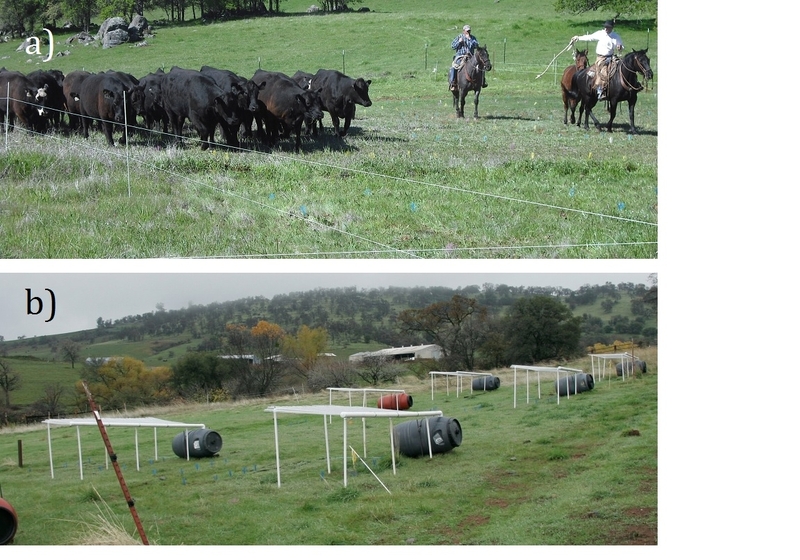 Second, we implemented rainout shelters and irrigation over three years to create “dry” and “wet” plots within areas of different grazing histories (Figure 1b). We found that moderate grazing practices maintained a diverse mix of grass and forb species. 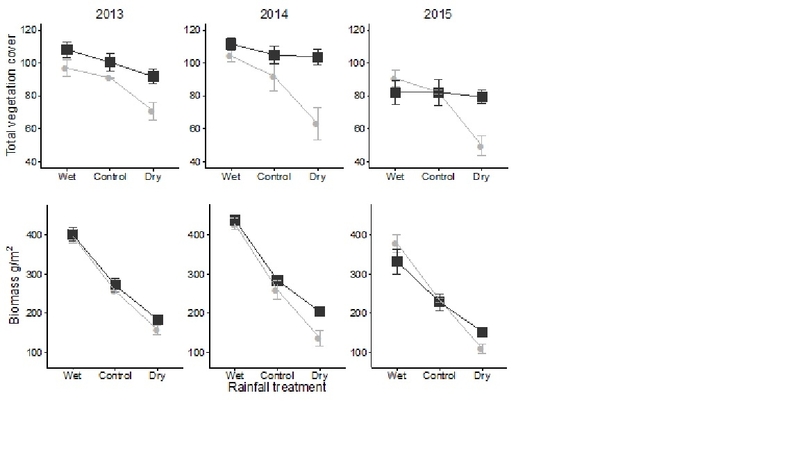 This mixture better maintained vegetation cover and biomass across rainfall conditions compared to low-grazed areas dominated only by grasses (Figure 2) (Hallett, Stein, Suding conditionally accepted, Oecologia). Figure 2. Total cover and biomass responses to rainfall and grazing legacy over three years (± SE). Dark squares indicate a legacy of moderate grazing – which created a diverse mix of grass and forb species - and light circles indicate a legacy of low grazing – which shifted the community to only dominant grasses. 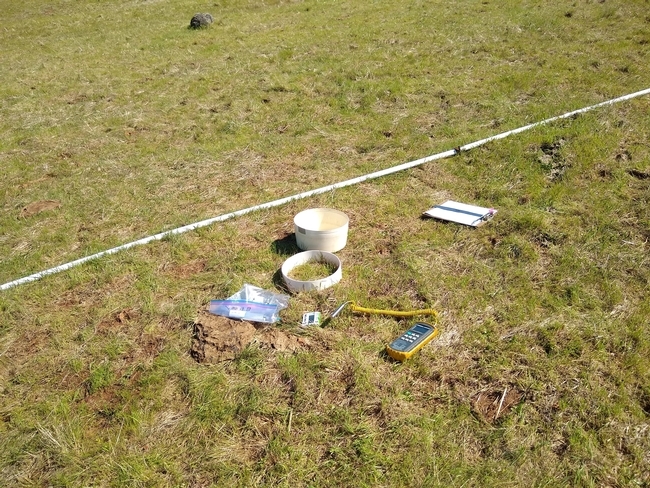 In the second iteration of this project, we are exploring how rainfall timing alters grassland diversity and forage production. We hypothesized that early-season drought will alter which species recruit that year, with higher forb abundance in dry falls and higher grass abundance in wet years, whereas late-season drought would reduce overall production. To test this, we have implemented large shelters with roofs that are pulled in place to create early-season, late-season and continuous drought as well as a control (Figure 3). We are finding that periodic early-season drought helps to maintain forb diversity in California rangelands. Working with Dr. Whendee Silver, we are also testing the effect of rainfall timing on nutrient cycling and greenhouse gas emissions. We are finding that previous-season rainfall as well as current season alters greenhouse gas emissions, which may be important for managing rangelands for multiple ecosystem services going into the future. Figure 3. a) Rainout shelters at the Sierra Foothill Research and Extension Center, Browns Valley, CA. 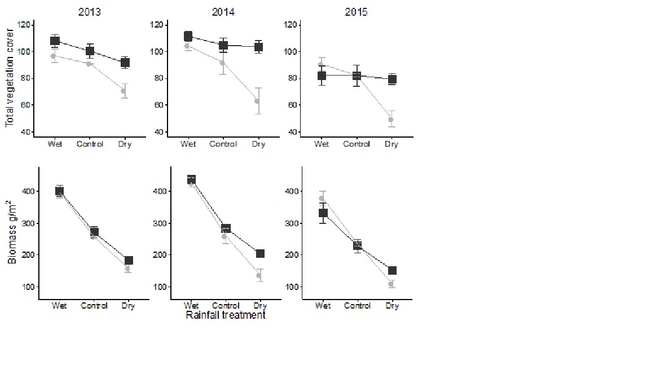 b) Treatment effects on soil moisture over time. 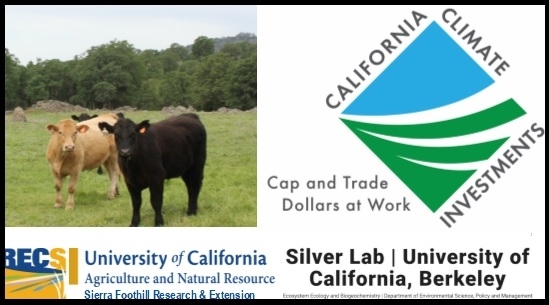 The Sierra Foothill Research and Extension Center in Browns Valley, CA utilizes 130 acres of summer irrigated pasture for cattle grazing. SFREC's irrigation water is supplied by a local water district via pipelines and open ditch distribution sources. 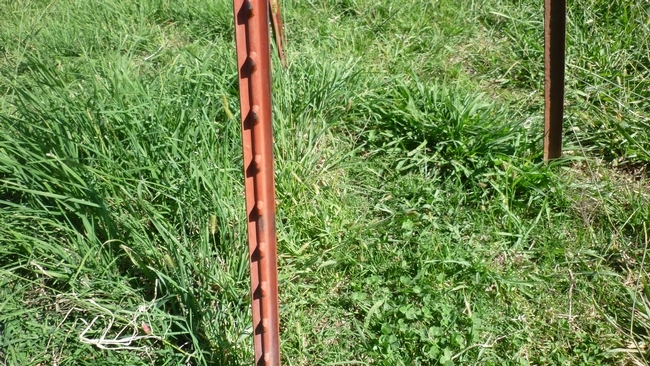 The irrigation delivery system applies water through sprinklers, open ditches, and gated pipes. Each irrigated pasture at SFREC is managed for 1) Forage Production, 2) Water Quality, and 3) Soil Quality. 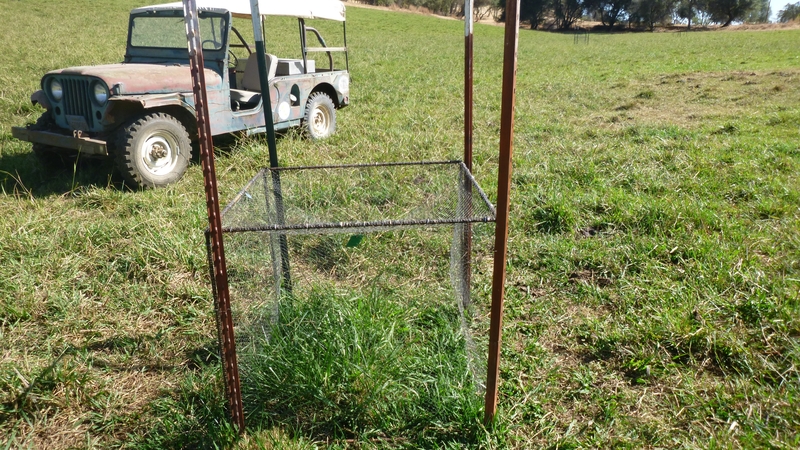 SFREC staff measures forage production in 15 enclosed cages throughout five different irrigated pastures. The treatments within each cage include leaving 4-6 inches of residual grass and measuring Total Forage Production (TFP). 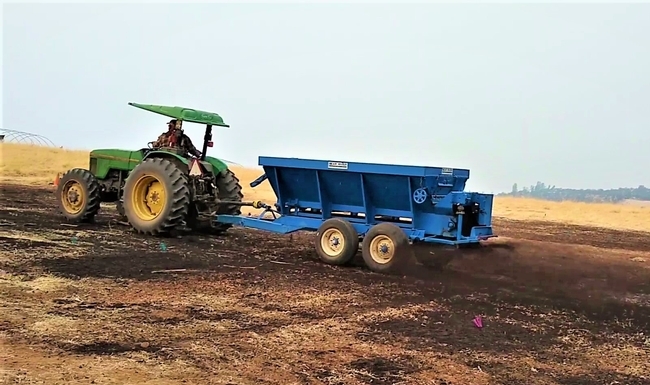 Guidelines for general irrigation and pasture management production based on past and current research recommend leaving 4 to 6 inches of residue/grass growth after each grazing period. 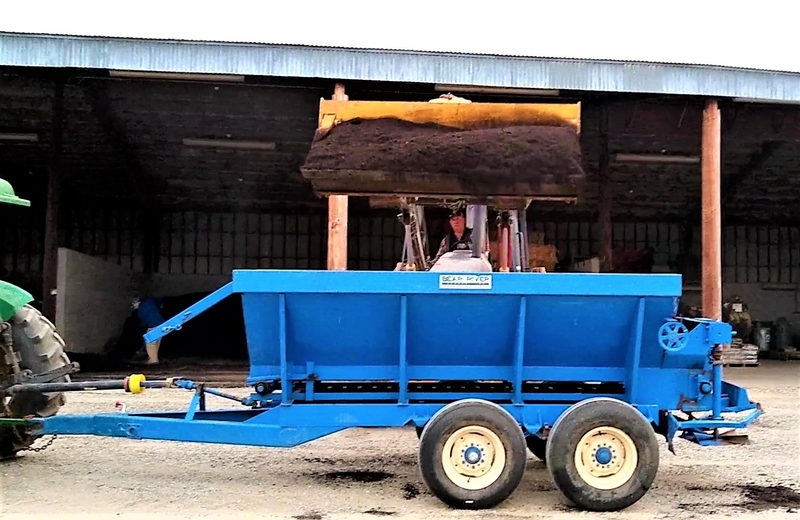 The basis of this recommendation is to increase forage production (by leaving increased amounts of foliar surface area), improve root development, decrease weeds, cause less stress for forage grasses and increase water infiltration. Total Forage Production is measured by clipping the grass all the way to the ground. This center project is measuring the two treatments (4-6 inches & TFP) on their respective pounds/acre production. Each month (from April through October) forage is clipped from each cage, dried, and weighed (pounds/acre). After the samples are clipped, each enclosed area is leveled to its prescriptive treatment. 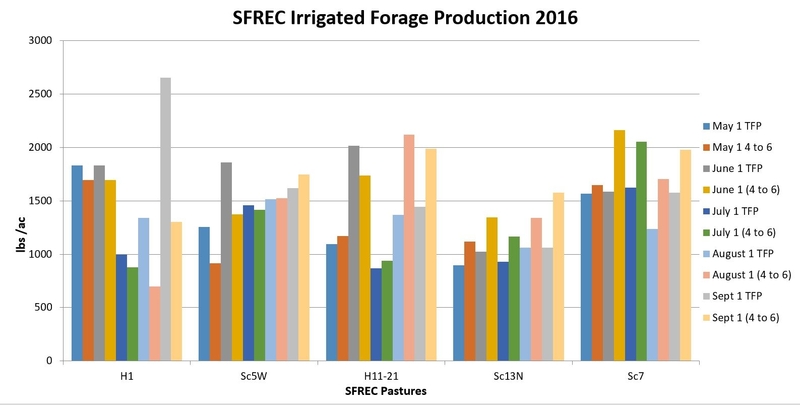 During the last two years of field sampling on irrigated pasture at SFREC, there was an increase in forage diversity in the Total Forage Production subplot. 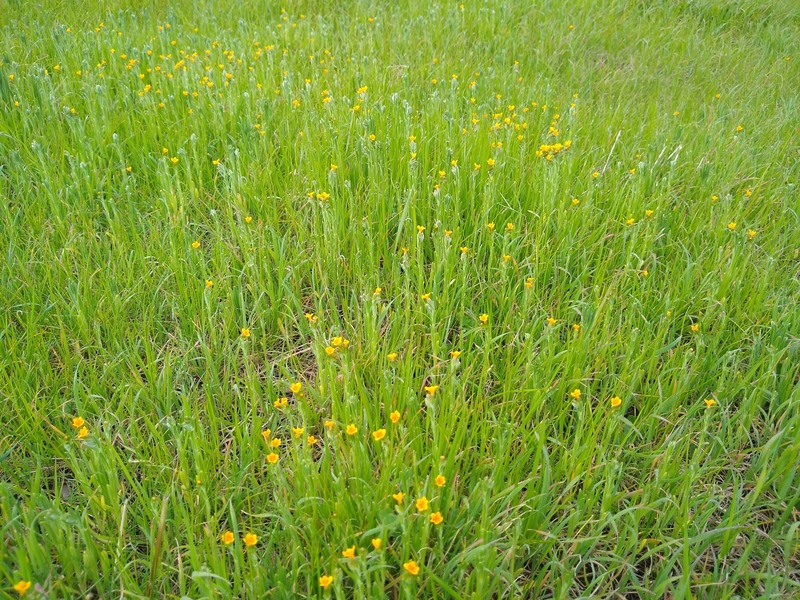 Clovers, birdsfoot trefoil, and filaree became increasingly abundant due to the increased sunlight and less crowding from competitive grasses. 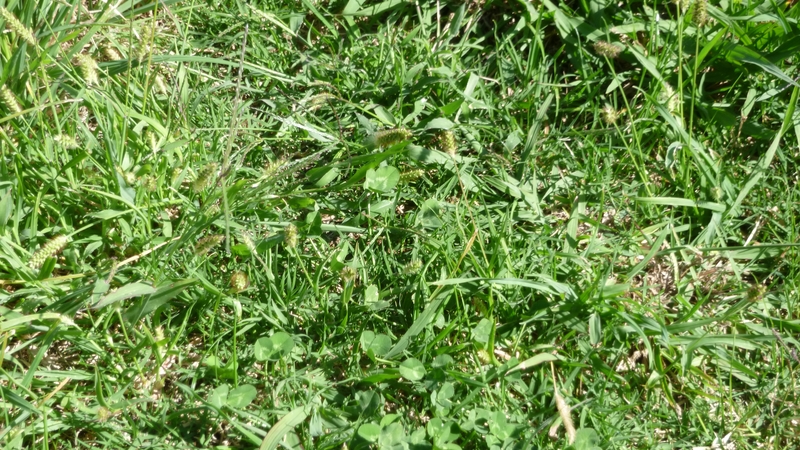 While the increase in clover and other forbes growth lends to an increase in forage quality, there is an overall decrease in forage production per acre in the TFP treatments when compared to the treatments with 4-6 inches of residual grass. 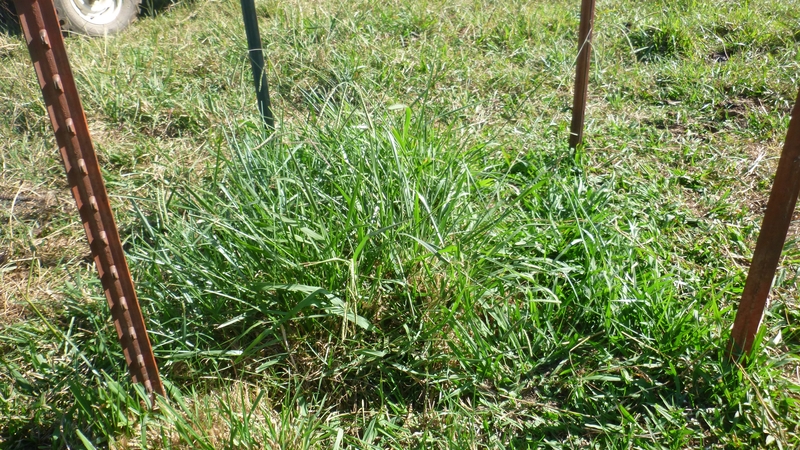 Numerous other factors can potentially impact irrigated pasture forage growth. 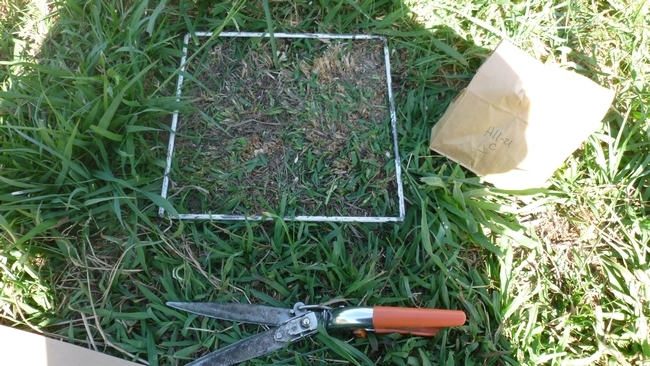 Fertilization (rates, composition, timing), irrigation (frequency, amount, duration), grazing (stocking density, class/age of animal), species composition, physical structures (water location, loafing areas, rubbing zones, mineral location), soil properties, aspect, and slope, are other important components to manage or consider.